We had a fantastic time. 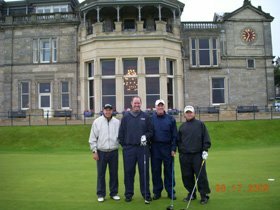 Golf Vacations UK was very helpful in the planning of our trip. They made terrific suggestions on lodging and golf logistics. Golf Vacations provided us multiple lodging options at every location so we could find the price point and comfort level we were looking for. Thanks to their help we are able to play all of the courses we desired. We’ll be using them again for our next trip.